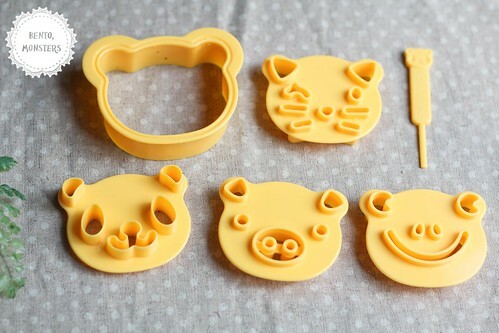 I'm trying out a cute cutter set from CuteZCute for today's bentos. 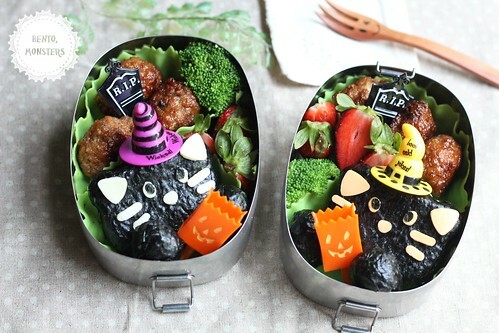 Today's lunchbox is packed with rice, meatballs, broccoli and strawberries. Cat with sausage fish for the boys to bring to School. I used the CuteZCute cutter on bread for their snack boxes. I packed their snack boxes with jam sandwiches, meatballs, sausage and grapes. 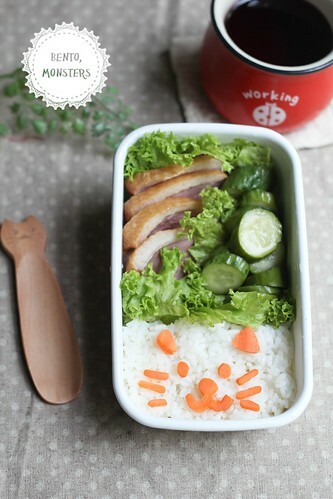 My lunch of rice, carrots, pickled cucumber and smoked duck. Lol, a charaben for me too. Used the cutter on carrots for this. :) You can hop over to CuteZCute for more details on the cutter. Super Cute! I love the halloween set. And the fish sausage is just awesome! I love those Halloween kitties! Love the black cats! Their witch hat are so cute! Can I ask where are they from? 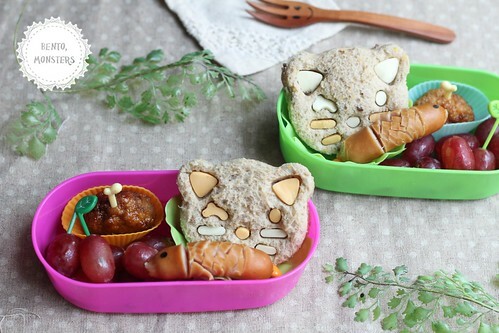 Sandwitch cats seem easy to do and they are cute too. The fish sausage seems perfect for them. Yay Halloween! Like berrygirl, I love the sausage-fish,too. It's so cute! 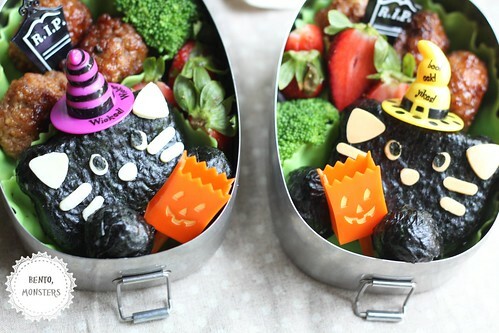 Those Halloween Cats are super cute! 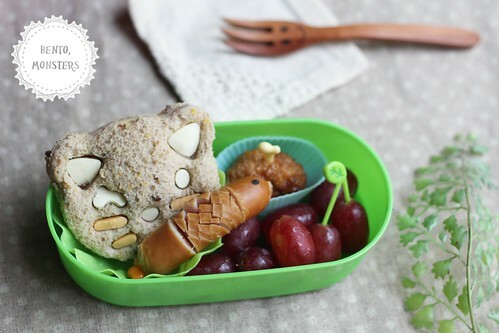 :) The fish sausage is just amazing, they are adorable. 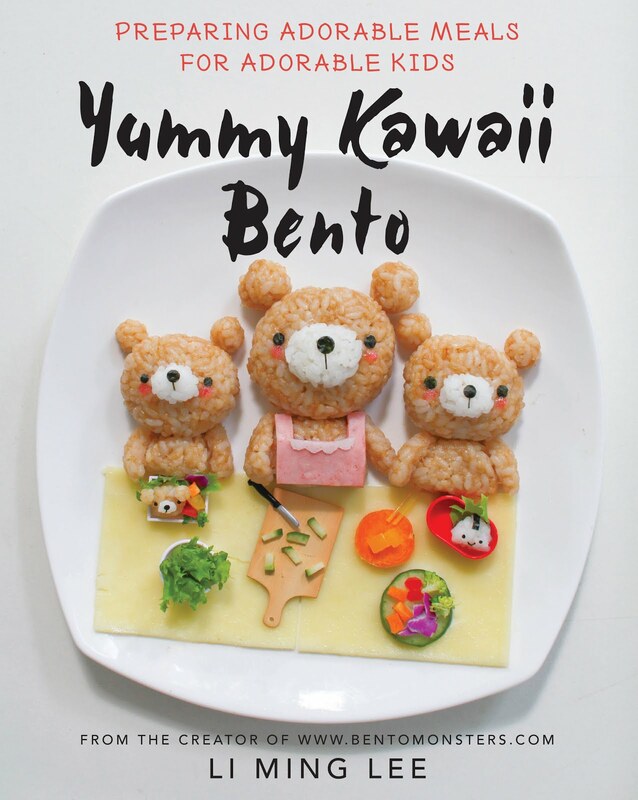 I already mentioned how much I love these bentos, but I had to mention it again! They are SO cute! Thanks for sharing these for Fancy Sandwich Friday!